Every year, the CMHA Mental Health Week conversation gets very, very loud. It gets loud on social media, in our homes and in our workplaces. In our schools and across our campuses. It gets loud in the halls of Parliament and in city and town halls across the country. This year, it will get even louder in support of mental health for all. When we are mentally healthy, we feel good about ourselves, and we enjoy our life and the people in it. We can be creative, learn, try new things, and take risks. We are better able to cope with difficult times in our personal and professional lives. We feel the sadness and anger that can come with the death of a loved one, a job loss, relationship problems or other difficult events, but in time, we are able to enjoy our lives again. Mental health is worth protecting, celebrating and promoting. Take a moment to explore your mental health. 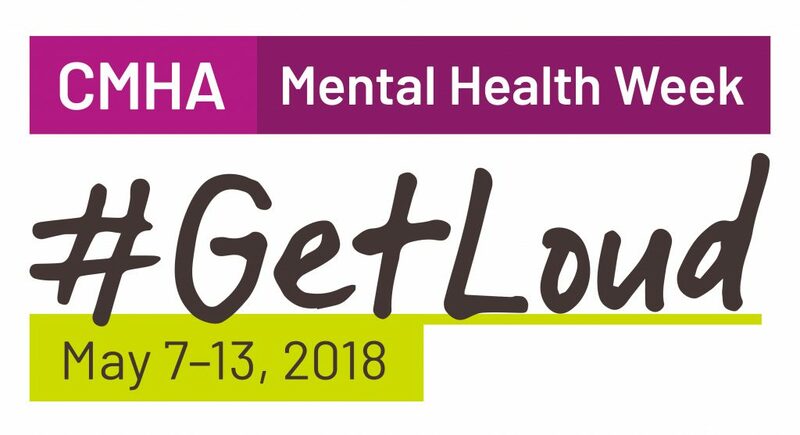 CMHA Mental Health Week was first introduced in 1951 to raise mental health awareness. It is now a Canadian tradition, offering practical ways to maintain and improve mental health and support recovery. Founded in 1918, the Canadian Mental HealthAssociation (CMHA) is the most established, most extensive community mental health organization in Canada. Through a presence in hundreds of neighbourhoods across every province, CMHA provides advocacy and resources that help to prevent mental health problems and illnesses, support recovery and resilience, and enable all Canadians to flourish and thrive.